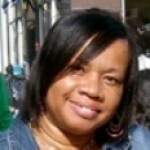 Nothing’s better than getting the gift of your dreams on your birthday…until you find out it’s not going to happen. 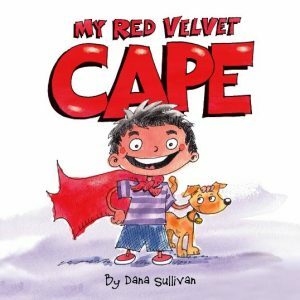 That’s the premise of author/illustrator Dana Sullivan’s lively new picture book called, My Red Velvet Cape. That’s it; that’s all Mateo hears, and that’s all young readers see on the page before Mateo takes off running and announces to whomever will listen that his grandma is making a red velvet cape for his birthday. Mateo quickly imagines having the best super-hero birthday party ever. He also fantasizes about all the things he can do once he receives his red velvet cape, like taking his rambunctious dog for a walk, and no longer needing to hold his sister’s hand on the way to the bus stop. He will, of course, also be very popular–because super-heroes are ALWAYS popular, right? Surely everything in his world will fall into place once he gets his hands on his red velvet cape. But his wild imagination comes to a screeching halt when his sister tells him that he misunderstood grandma and there is no red velvet cape after all. 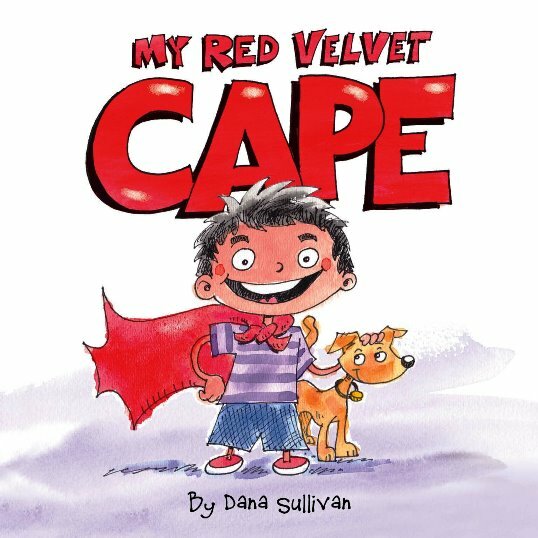 My Red Velvet Cape is a clever little book about birthday wishes, BIG imaginations, and the importance of listening carefully. 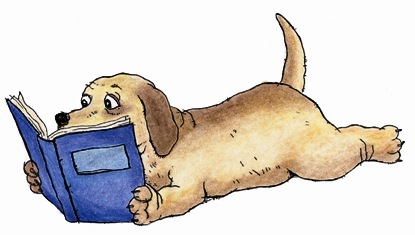 Mr. Sullivan’s prose is perfect for ages 4 to 8; it is brief, clear and cute to the point of leaving the reader with a wistful smile for his or her own pre-teen days. Also, young children will easily identify with Mateo’s belief that his red velvet super-hero cape will make him immensely popular with his classmates, and will even help him to make it to the restroom on time. The illustrations include hot pinks, deep yellows, and soft greens — all the bright primary colors that all young children love. Mr. Sullivan deftly captures round-eyed, smiling children, loving parents, and joyfully cluttered bedrooms and playgrounds that welcome children with open arms. Use this book to start discussions about the perfect birthday gift, what it means to be a super-hero, and just how important listening carefully really is.